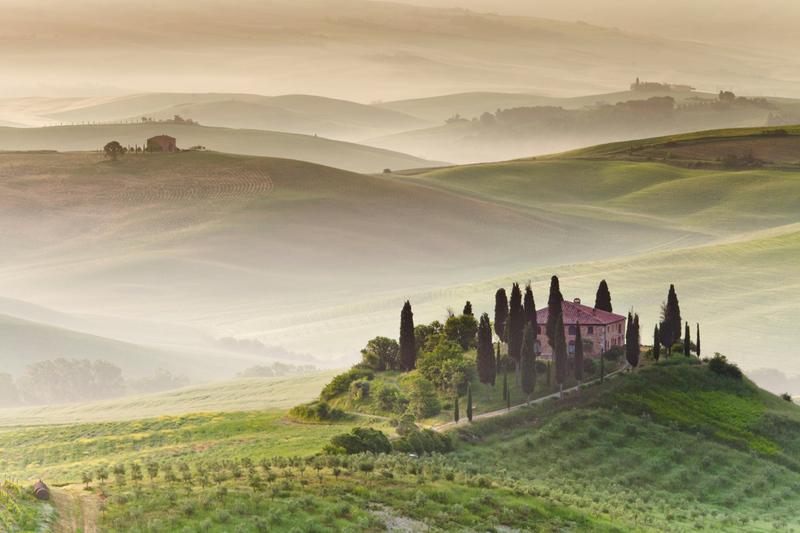 In this beautiful sunrise capture, we see an amazing farmhouse located near Pienza and San Quirico d’Orcia in Tuscany, Italy. The morning fog over the rolling hills makes for an idyllic scene. Imagine waking up and enjoying a nice cup of coffee overlooking a view like that!